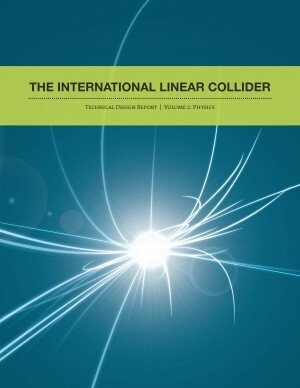 The physics case of the ILC has been studied intensively for many years, culminating in the physics volume of the Technical Design Report (TDR). It was followed by efforts to compare various machines such as the European Strategy studies and the Snowmass studies. Still, the scientific and political environments surrounding the ILC keep changing. On the scientific front, the LHC has found the Higgs particle and placed limits on new physics. The LHC is now upgrading the energy and a new run is about to start. On the political side, the committees of the MEXT in Japan are evaluating the case for the ILC both technically and scientifically. It is thus important that we continue to update the physics case for the ILC and communicate it to relevant people. The task of updating the physics case for the ILC largely lies on the shoulders of the physics working group of the LCC. With the members of the MEXT committees as audience in mind, they have produced a document called Precis of the Physics Case for the ILC. This turned out to be an extremely useful document for newcomers such as incoming graduate students to learn about the physics of the ILC. It was, however, a little too technical for the audience originally intended. To fill the gap, it was followed by a shorter document intended really for general public – Scientific Motivations for the ILC. This latter document is now mostly ready for distribution. The content of these documents are used by members of those committees in their discussions. as a Higgs factory is quite similar in luminosity to the CEPC. The wall plug power for the ultimate ILC Higgs factory is 187 MW, which is about the same as the current LHC, while that of CEPC is more than twice as much. Important properties are the interaction strength between Higgs and other particles. ILC can measure them 3 to 10 times more accurately then the ultimate LHC. This means that the ILC is equivalent to 10 to 100 ultimate LHCs running simultaneously. 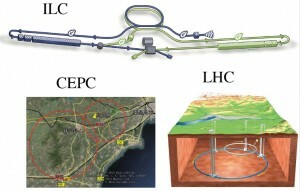 The LHC can reach higher energy than the ILC, but can miss important phenomena. At the Tevatron collider, which is similar to the LHC, more than 10,000 Higgs particles were created but no clear signal was detected. At the ILC, about 100 Higgs particles are enough. Circular electron-positron colliders have fundamental limits for energy increase due to synchrotron radiation. In the Standard Model of particle physics, the Higgs particle is the key particle and top quark is the heaviest particle. Higgs-Higgs, Higgs-top interactions cannot be directly measured at the circular electron colliders since they cannot reach high enough energy. When a new particle sits at just above the energy limit, the ILC could be upgraded to reach the energy by making it longer or using higher accelerating gradient while it is difficult for a circular collider.